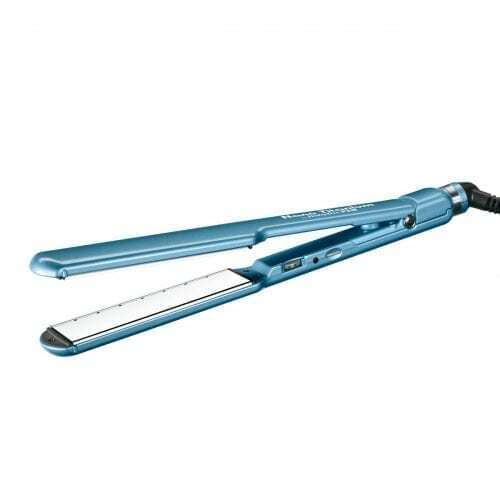 This iron lets you create ultra-shiny, pin-straight styles with just one pass – even on damp hair. The smooth titanium plates glide over hair, releasing the steam generated by damp hair through the vents in the plates and housing. Advanced titanium plating technology makes styles last longer, while the iron's ultra-slim and lightweight styling maximize stylist comfort and control.